For sleep apnea sufferers, getting comfortable can sometimes be tricky. Especially for new CPAP users, getting used to wearing a mask to bed every night can be difficult. Plus, even experienced CPAP users have trouble when sleeping on their side. That is, unless they have a CPAP pillow! What is a CPAP Pillow? 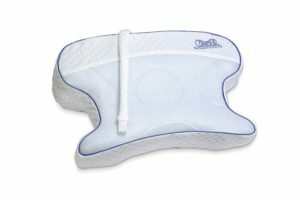 A CPAP pillow is a pillow specially designed for use with CPAP machines. They typically have a more unique shape than traditional pillows, leaving room for the CPAP mask to rest comfortably. 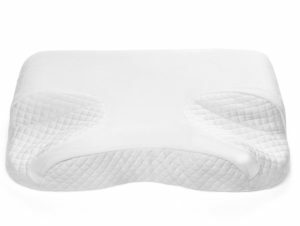 The best CPAP pillows are designed to reduce mask interference and increase comfort, ensuring a good night’s sleep. With normal pillows, if the patient lays on their side with a CPAP mask on, the mask may push up against their face, causing discomfort and a poor seal. With the top CPAP pillows, that pressure is relieved because there is room for the mask to rest away from the face. What is the Best CPAP Pillow? There are several options on the market. 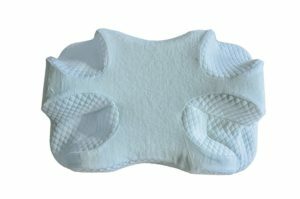 We spent some time going over the top CPAP pillows, looking at manufacturer information, customer reviews, and our own experience with these pillows. The result is the list below: our idea of the best CPAP nasal pillows of the year! The EnduriMed is easily the best CPAP pillow on the market, and definitely one of the most popular. It’s a best-seller on Amazon, where it has received stellar reviews from customers. The pillow might look funky at first glance, but it’s quite comfortable – especially considering that there are two different firmness levels depending on which side you use. 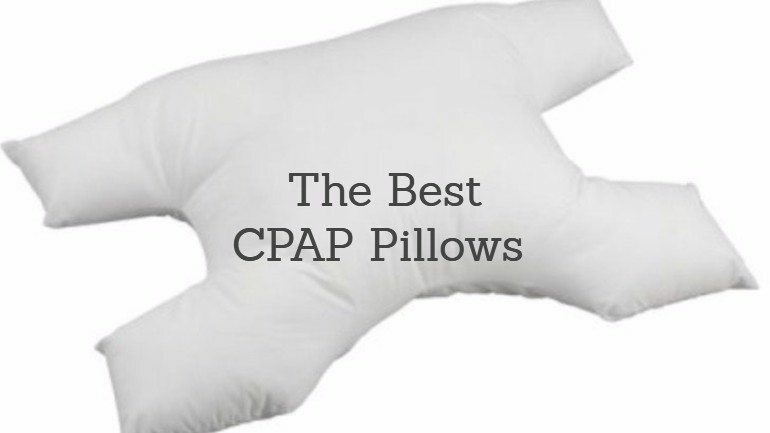 This is perhaps the best CPAP pillow available today. The GoodSleep is another great choice. It’s affordable, comfortable, and has a much simpler design than most CPAP pillows. It will fit like a normal pillow in any standard size pillow case, and it won’t stand out next to a normal pillow on your bed. The CPAPMax by Contour is another excellent product, although it’s a bit on the pricey end compared to the others on this list. Its main benefits, beyond the contoured shape for CPAP masks, is the charcoal infusion in the pillow filling, which keeps the pillow fresh for longer. Hopefully this guide has helped you in selecting the best CPAP pillow for you. Feel free to stick around and explore the rest of this site for sleep tips, mattress reviews, and more!